Tired of shaving and waxing unwanted body hair but unsure what to do about it? At Health and Rejuvenation Center in Miami, Dr. Aleida Hera offers advanced laser treatments using the ICON laser system to reduce and remove unwanted body hair with minimal discomfort and long-lasting results. 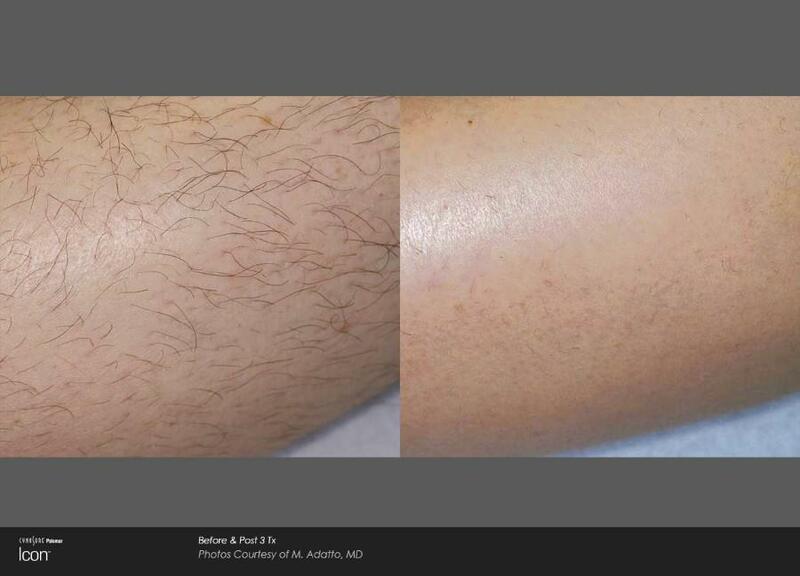 To find out more about laser hair removal services, schedule a consultation online or by phone. Dr. Hera uses the innovative ICON laser system that targets pigments in the hair and destroys the follicle to permanently prevent future hair growth. Treatments are safe and effective and don’t cause damage to your skin. What can I expect during laser hair removal treatments? Dr. Hera ensures you’re comfortable throughout the procedure and may use a topical anesthetic to prevent discomfort. Laser treatments aren’t invasive or painful, with many people reporting a sensation similar to the snap of a rubber band against your skin. Following treatment, the skin on your treatment areas may appear dry and flaky. Using a high-quality moisturizer and SPF protection daily helps to protect your skin after treatment and relieves dryness. You may also experience slight swelling in the treatment area that resolves on its own within a few days. Dr. Hera can determine how many treatments you need to achieve your goals, based on the length and thickness of your hair. In most cases, several treatments are necessary to ensure the laser destroys all targeted hair follicles to eliminate all unwanted hair. Laser energy can only target active hair follicles, and since there are different hair growth cycles, not all follicles are active at the same time. You may be a good candidate for laser hair removal if you’re in good overall health and have realistic expectations of the treatment. Dr. Hera can determine if laser treatments are right for you after reviewing your medical history and evaluating the condition of your hair. Generally, the laser treatments work best on dark hair, as the energy targets the hair pigment in the follicle. If you have blonde or other light-colored hair, you may not achieve the same results as someone with darker hair. To stop worrying about unwanted hair on your face and body, schedule a consultation online or by phone to learn more about laser hair removal treatments.